In May, Aria Grams turned 2. But today, Sept. 13, her family is celebrating a second birthday of sorts. That's because it's the one-year anniversary of Aria's life-saving heart transplant, thanks to a generous gift from another 2-year-old. And tonight, the Grams family will host an event they're calling Lanterns to Heaven "to show our love and appreciation for our donor family," according to a Facebook page created for the event. 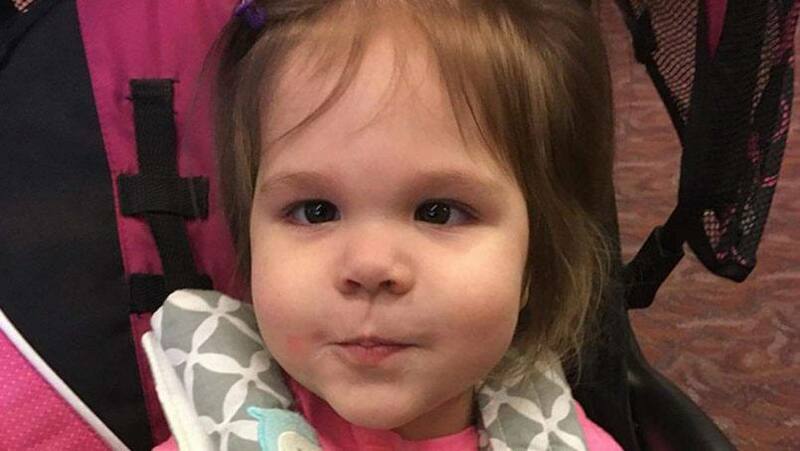 They'll be sending Aria's donor "and heroes like her a gift of love and light from Earth" by releasing sky lanterns and lighting candles at Barker's Island Pavilion in Superior, Wisconsin. We introduced you to Aria in August 2015, when she was waiting for a heart transplant at Mayo Clinic's Rochester campus. Aria had been diagnosed with restrictive cardiomyopathy, dilated cardiomyopathy, and heart failure shortly after her first birthday. She was dependent on a modified heart-lung machine called ECMO (short for extracorporeal membrane oxygenation), a treatment so complex it took a six-person care team just to take her for a ride in a wagon or wheelchair. Though her parents, Tara and Josh, knew Aria's survival depended on a transplant, it was impossible for them to forget that their answered prayer would mean heartbreak for another family. So when they learned that a compatible heart was available, their emotions were mixed. "I thought I would be happy, but I was so scared," Tara says in this video. And she couldn't help "thinking about the other family, and I knew somewhere … someone was losing their baby." Soon after Aria's surgery, Tara and Josh reached out to that family and quickly received a response from the donor's father. He shared that his daughter's illness, like Aria's, had come on suddenly. Ongoing exchanges revealed other similarities. Both girls loved Mickey Mouse Clubhouse cartoons and scrambled eggs. And both had beautiful smiles and doting fathers. "We've come to know [Aria's donor] by the letters from her amazing father," Tara tells us. "He misses her so much and dreams of holding her in his arms again someday in heaven." When the donor's father learned that the Grams were planning an event to honor his little girl, "he was very happy and asked to join us," Tara says, adding that she was "shocked because we live so far away." According the Superior Telegram, the donor's parents will be traveling from Texas for the event, where they'll "get to listen to Aria's heartbeat." We're guessing they'll also hear an outpouring of thanks for their decision to give life in the depth of their grief. "We're very excited to meet some of our heroes," Tara tells us, adding that she hopes the meeting "will help us all find peace and share awareness." You can learn about Aria's ongoing recovery by visiting the Heart Warrior Princess Aria Rose page on Facebook. Then give us a piece of your heart by leaving a comment below and by sharing this story with others.